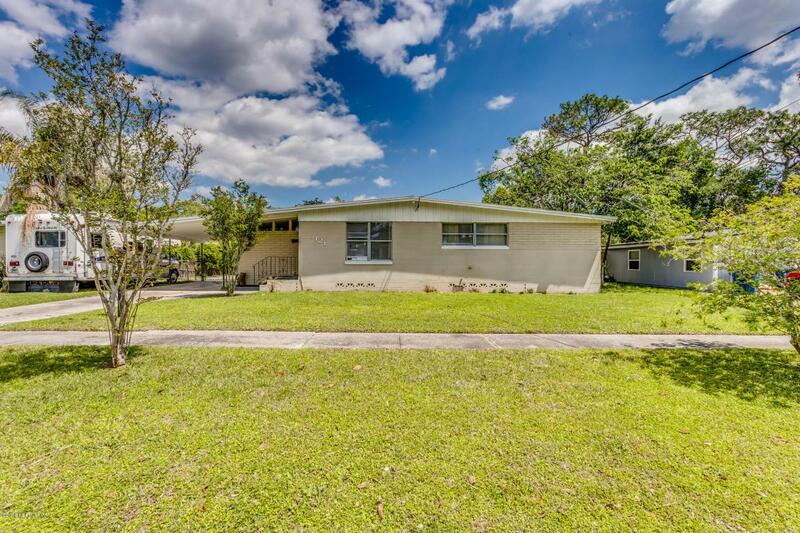 This adorable home has so much to offer...Concrete Block home with NEWER ROOF, UPDATED KITCHEN with granite, glass tile backsplash, newer cabinets & ceramic tile flooring. UPDATED BATHROOMS with newer fixtures, shower and tile. Solid hardwood flooring throughout the home. Additional room that can be used as an office or playroom. Behind the fence is a carport with a detached 2 CAR GARAGE or WORKSHOP! Located near schools and parks.